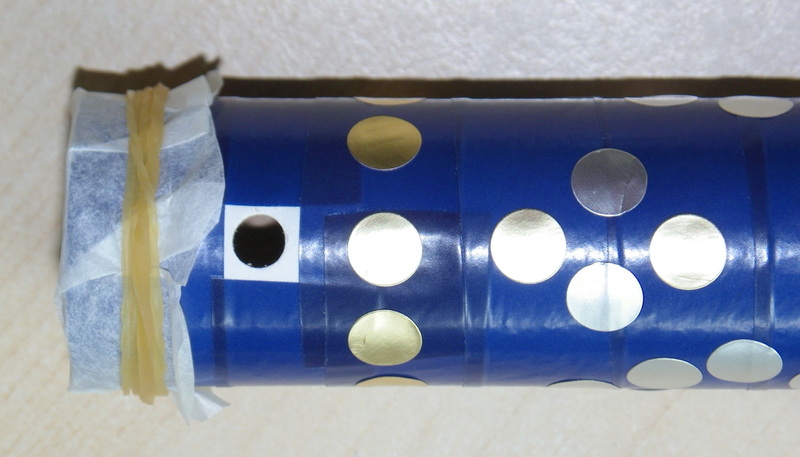 Cardboard Roll - I used a 3cm diameter roll. 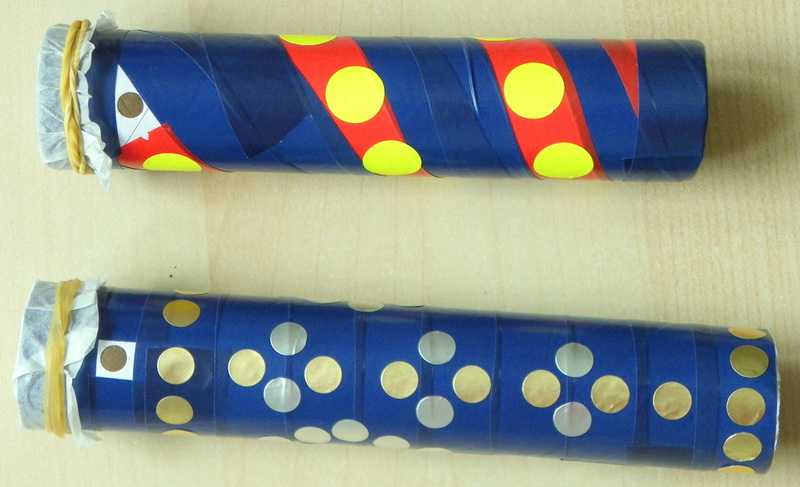 A narrower diameter tube is easier for little mouths. 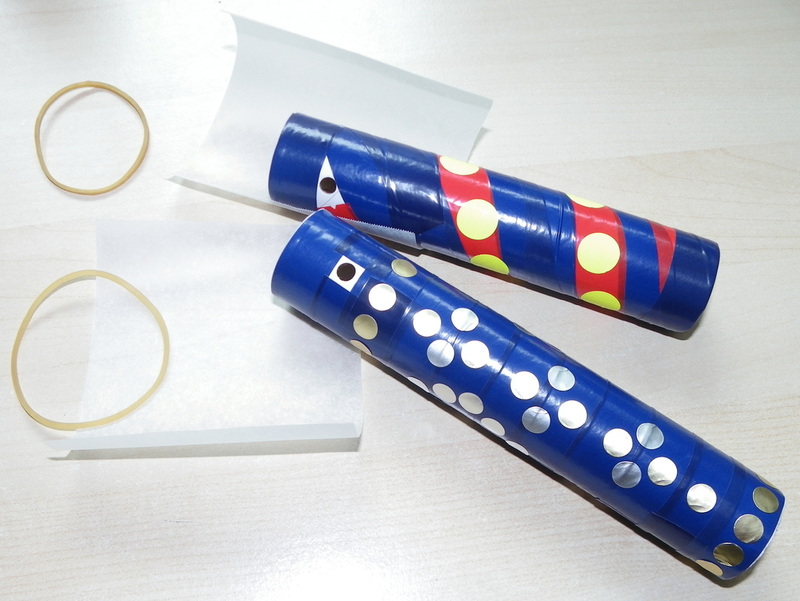 Decorations - the kazoo can be decorated with anything from pens, pencils or crayons to stickers, tapes and anything that will stick to the rounded shape. 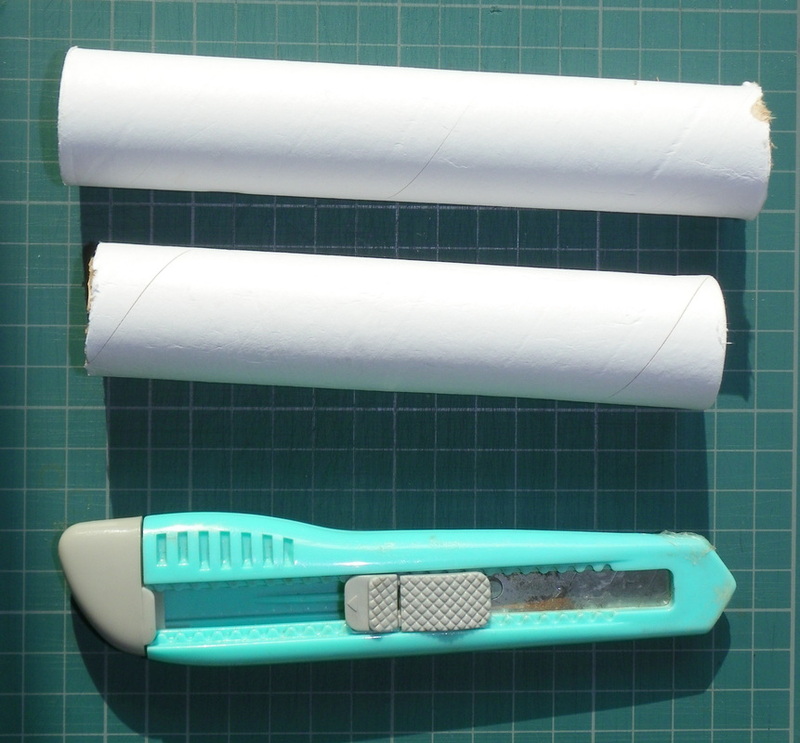 Cut the paper roll to size using the craft knife - My two were 14cm and 16cm long. Punch a hole approximately 2.0 cm from the smoothest (not hand-cut) end of the cardboard roll. The hole allows the air blown into the kazoo to escape. You need room above the hole for the lackey band, so don't make the hole too close to the edge. Use the smooth end so that you can get a good tight seal with the paper when you add that later. Make sure the hole remains uncovered. Use pens, crayons or pencils to draw pictures on it. Cover it with colourful tapes or stickers. 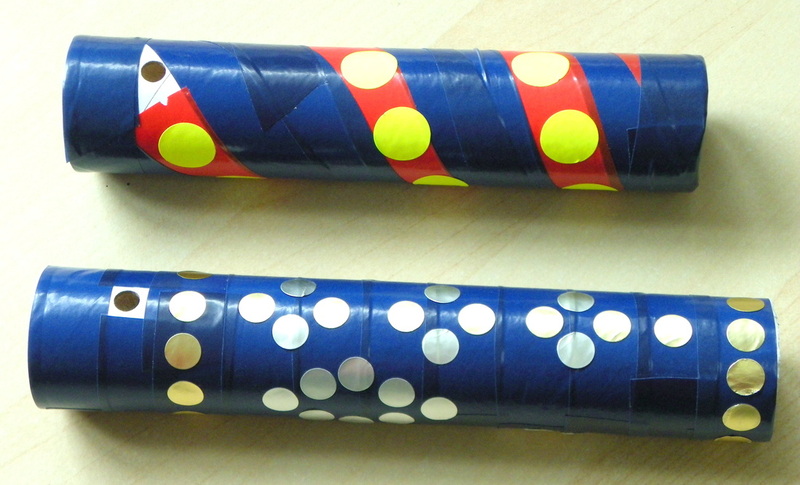 I used electric tapes which are bright and stretch easily, and create a "waterproof" surface to the kazoo too. 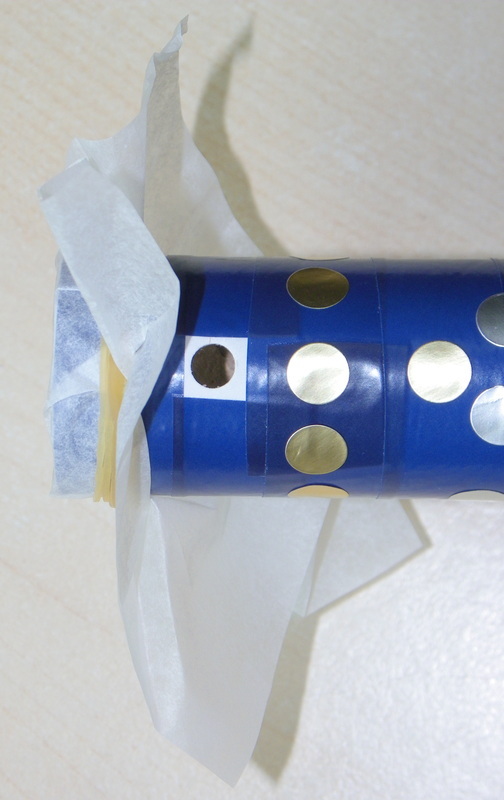 Use the lacky band to secure the cooking paper over the end of the kazoo which has the hole punched. Make sure the hole remains exposed. 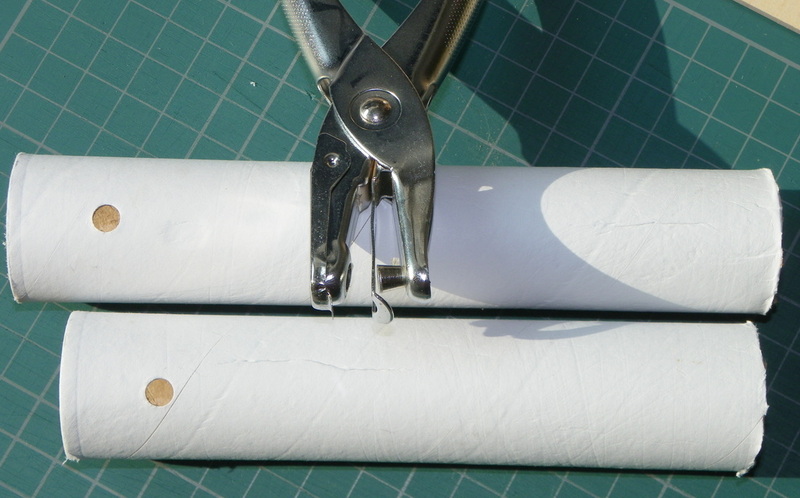 Trim the excess paper to size. To play the kazoo, put your mouth on the uncovered end, and loundly hum or sing a tune. Experiment to see which sounds work best.